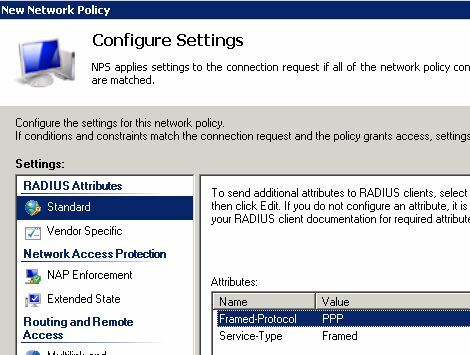 I wrote previously on how to integrate Cisco IPS modules with Microsoft 2008 NPS server, for Radius authentication. Now we are going to cover how to integrate Cisco Nexus with radius. The format is very similar to the IPS setup, so it may be worth having a read of the first post to get an idea. 2: You already have an NPS server in place, serving clients. 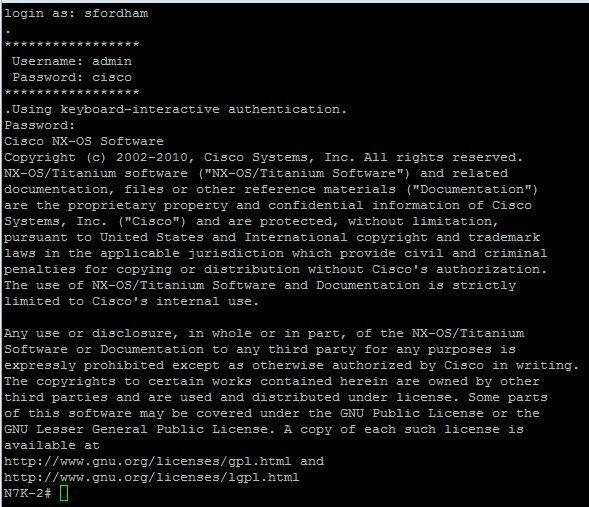 I am using the Cisco Titanium Nexus 7000 emulator (but the same process should apply to the NX5000 series, I need to do this on real Nexus 5000’s so if there are any differences I will update this post). 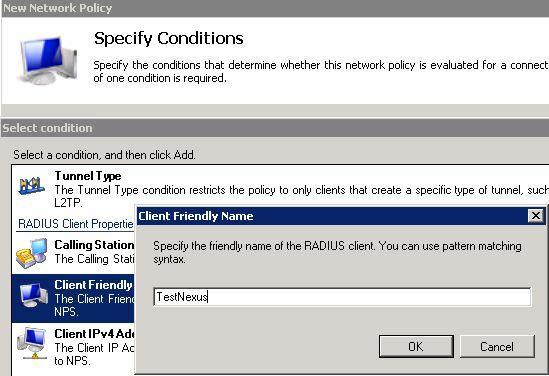 We start by adding a client onto the NPS, we give it a friendly name, specify the IP address and set the radius secret (here I am using nxnps123). 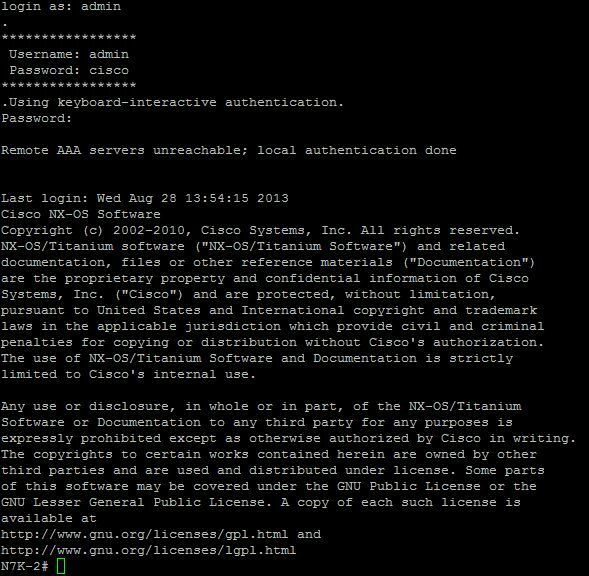 I have also set the vendor name to Cisco. Now we create a policy to map access to the client. I have called this “TestNexus Admin”, and the plan will be to have a read-only policy added later on. Now you can add your specific groups. And that’s all the configuration on the Microsoft side (for the moment at least). Now we know that we can “talk” to the NPS box we can start setting up the radius parts. 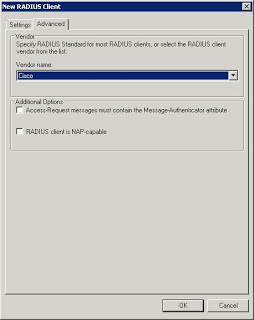 We start by setting the radius key, it should match the key used to set up the client under NPS (again here we are using “nxnps123”). The 0 next to “key” means that it is unencrypted. Then we set the host (which we should have at least two of for redundancy), and create an aaa group and add the server to this. 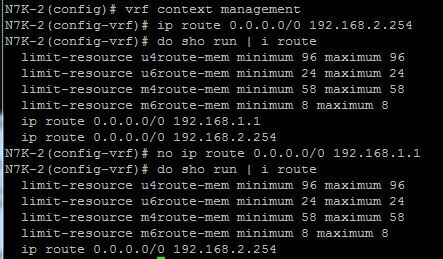 the last command tells the Nexus to use the management vrf to communicate with the server. Now we can test login! But we can’t stop here. 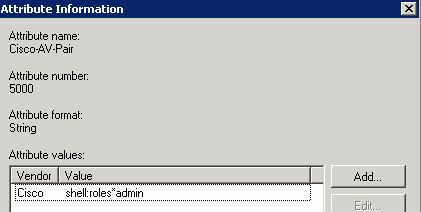 Like I pointed out earlier there was an issue with the shell:roles command within the NPS setup. Now although the displayed privilege level is still showing -1, we can save the config. 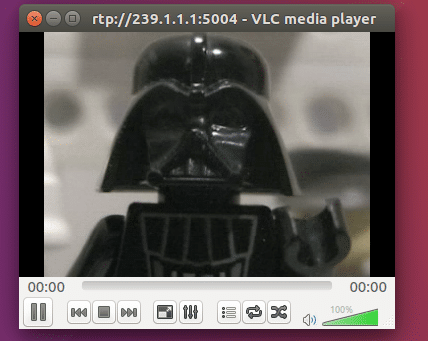 Which it does, but they can still issue show commands, so the achieves exactly what is required. 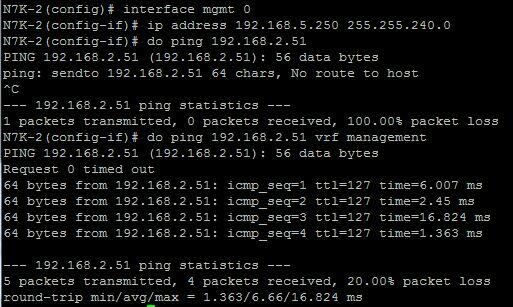 As you can see, Cisco Nexus plays very nicely with Microsoft’s NPS. Better than ASAs do, anyway. Authentication failed due to a user credentials mismatch. Either the user name provided does not map to an existing user account or the password was incorrect. 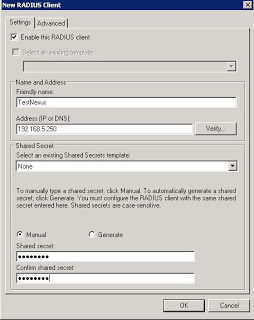 packet from RADIUS server y.y.y.y fails verification: The shared secret is probably incorrect. But the shared key is correct I put it on the NPS client side and on the Nexus almost 10 time to be sur.. This was a useful doc. Thanks for putting this together. "test aaa group groupname username password"
"test aaa server radius X.X.X.X username password"
Note: I was unable to add multiple client IPs to same Network Policy while setting this up. 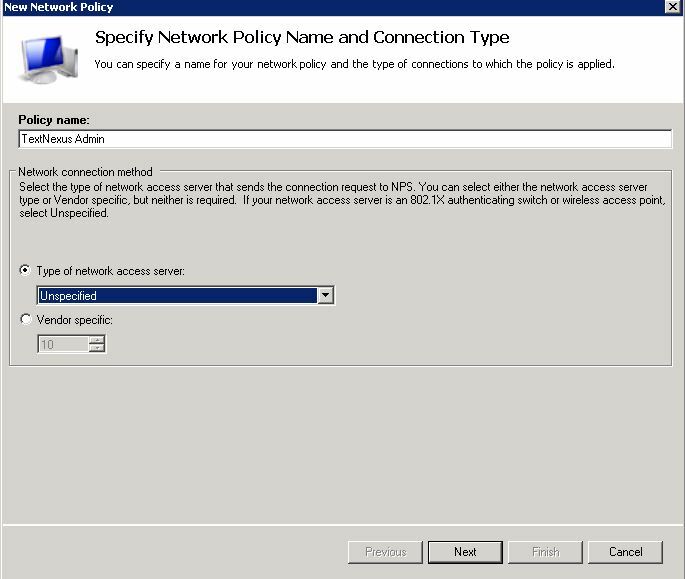 So i have to use discrete client with discrete network policy. Also while adding vendor attributes, you dont need to mention "" . You could simple use shell:roles=network-admin. 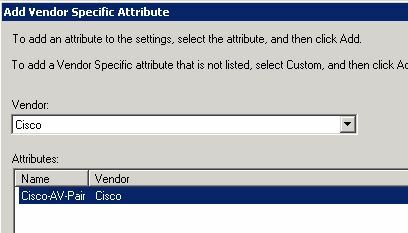 The other point use you can use any VRF (wherever your Radius server is) to configure the AD group. I have a question, when the nps server is up i can’t use the local username and password ? 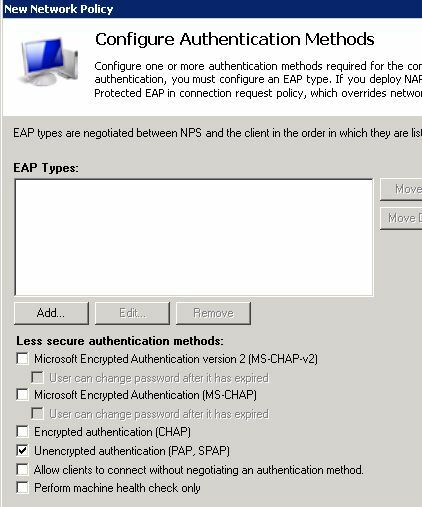 It will fallback to local auth when the NPS server is unavailable, but if the NPS server is up, the device will try to use that first.